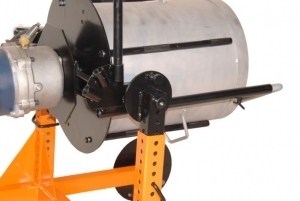 This Batch Mixer just may be the most extremely versatile direct drive batch mixer on the market today. Designed with the contractor in mind. 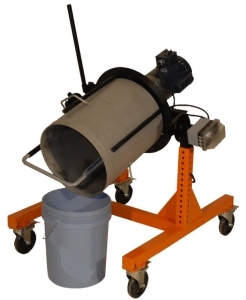 It can be set to accept 5 gallon (both metal & plastic pails, nested or straight sided), 10 gallon and 15 gallon drums. 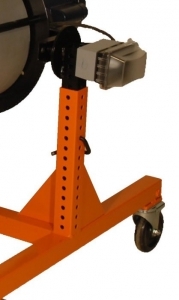 These drums have convenient handles for ease in transport. The height of the this mixer can be changed quickly and easily to change the mixing height and the result- ing dispensing height. 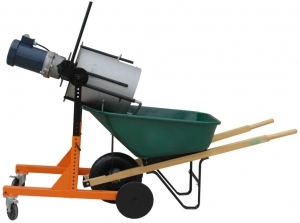 It can easily be tipped to dispense the mortar into a pail, wheelbarrow or even di- rectly on the floor. 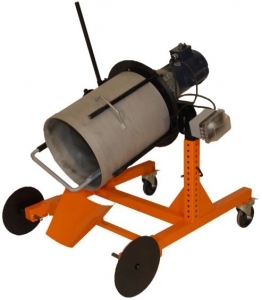 Its tilt mechanism, tilt arm center of gravity makes it easy for an operator to tilt and dispensed the mixed mortar to tip the drum It can be fitted with four casters or rear casters with steel front wheel that can be removed and burnt for cleaning. 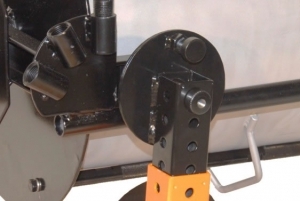 Being a direct drive, there are no drive belts or chains It also has a convenient side mounted timer that al- lows mixing time to be set up to 15 minutes. It has a snap fitted protective to cover. 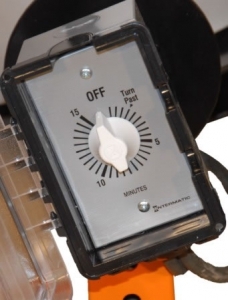 Its on-off switch is mounted directly on the motor for EZ access. Designed by a manufacturer with more than 35 years of mixing experience for all industries, but the main concentration has been in the polymer blends. Its robust construction is built for long service life at top efficiency. 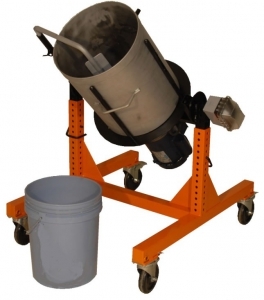 Product Mixing Versatility Epoxy mortars, (quartz, stone, sand) cementitious urethanes, EPDM urethanes, cement, and more!